Bright Star Promotions, Inc. presents . . . 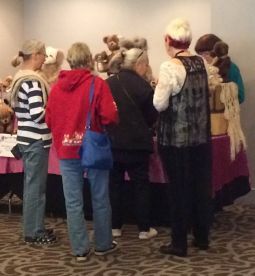 The popular, long running Spring Schaumburg teddy bear show lives on! the collectors postcard front! 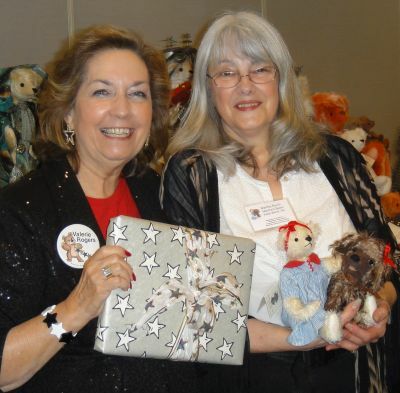 Valerie, the show's promoter gifted her a Winner's Certificate to hang in her bear studio. Way to go Martha! 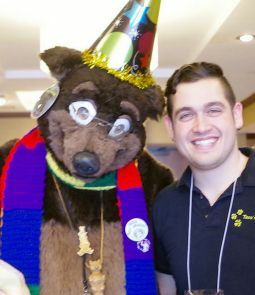 Waldorf the big bear welcomed collectors to the show! It was his birthday and he received lots of bear hugs along with a huge lollipop! 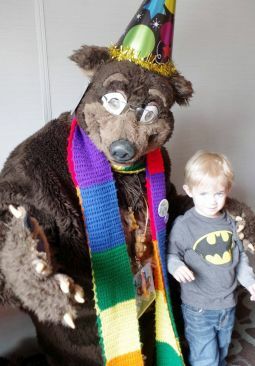 Even little Super Hero's love big bears! 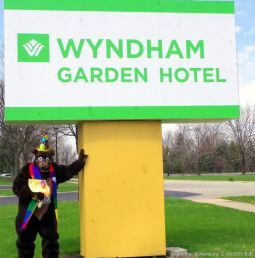 Waldorf was always ready for a hug and a photo! Valerie presented a big lollipop for Jeff to give to Waldorf? 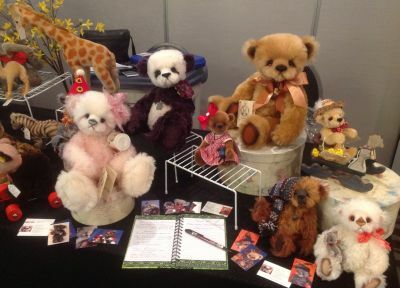 Collectors gather around to see the bears, and you can not see their big smiles! 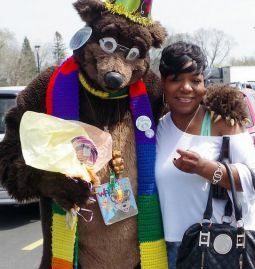 Valerie's cousin Lisa, who is an accomplished crocheter, made the bear. 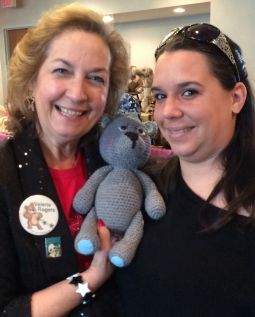 "I'm so excited as this was her first crochet bear and she gave it to me! Thank you sweet Lisa!" The day was bright and sunny and so were all the happy faces coming through the showroom door. Everyone was excited to meet the artists and see what they had created over the winter! 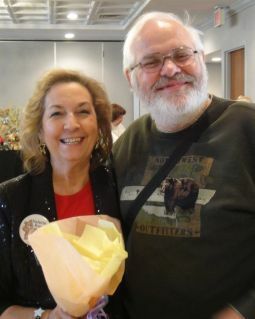 Cash Door Prizes - the happy winners are . 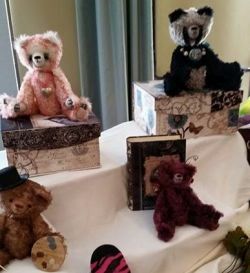 . .
Sarah H. from Peoria, IL, beamed with excitement when she heard her name called for $20 'bear-bucks' to spend at the show! 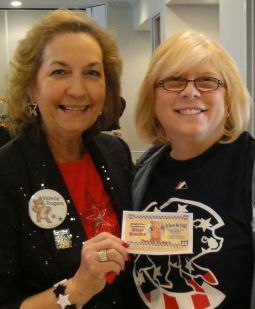 Dorothy S., from Des Plaines, IL, was another lucky winner. She already had selected a bear when she won! "Happy to use this for that bear!" 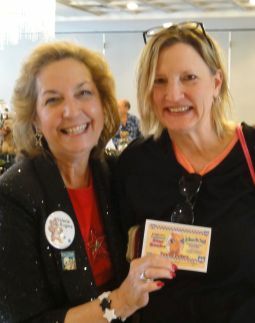 Laurie B., from Grayslake, IL was excited too. 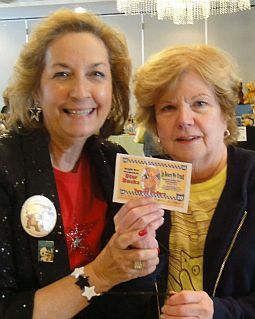 Winning money is always a lot of fun, especially at a bear show! Teds n' Such bear display. 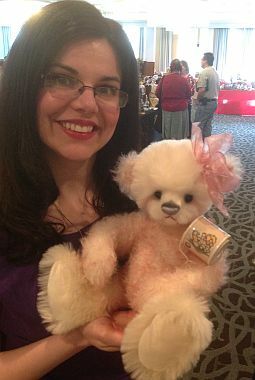 Sarah Van Nattan proudly holds one of her Mother's bears! 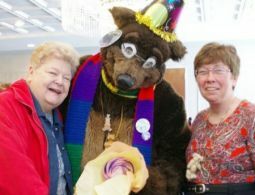 Sandy Humanski (L) and Terrie Stong (R), Good Bear of the World directors, with Jo Martinson who buys "brownie" the GBW brown bear to then donate to area nursing homes. 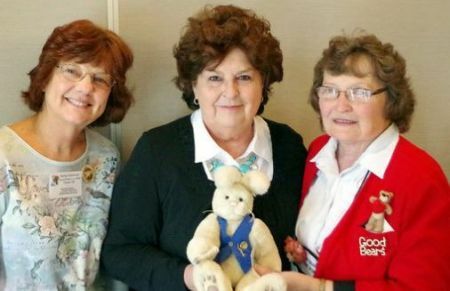 Jo donates her bears to GBW to help raise fund to purchase more 'brownies.' Thank you Jo! 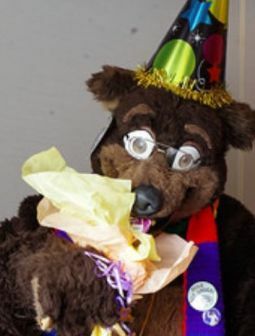 Bears are magical and make you smile! Drawings throughout the show. Buy bear merchandise with the Bear Bucks!